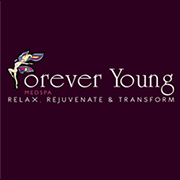 Welcome to Forever Young MedSpa. Our goals are to provide the finest FDA approved Aesthetic Treatments available anywhere in the United States with a staff of professionals dedicated to outstanding results and patient care. Since opening in 2005 Forever Young MedSpa has performed tens of thousands of treatments and built up a clientele of over 4,000 patients. Many times I’m asked why we’ve invested in so much technology. The answer to that is easy. No one laser can do it all. In South Florida we have many different skin types that includes light skin, Hispanic skin, Asian skin and African American skin. We have 4 different lasers just for Laser Hair Removal and 8 other lasers for skin rejuvenation & body shaping. We also carry all the latest FDA approved facial fillers and have perfected the painless injection that we are now so famous for. As you go through our website we believe you will find all the information you seek and encourage you to contact us with any questions. With over a million dollars in all the latest FDA approved non-surgical technologies and one of the nations finest Board Certified Plastic Surgeons with Dr. Soler-Baillo who has perfected such procedures as his minimal downtime and trademarked Angle Lift for jawline, neck and double chin contouring, no scar breast augmentations and ultra low tummy tucks, Forever Young MedSpa has it all. From VASER Ultra High Definition Body to medical grade facials and everything in between. It's just one reason why for the 5th year in row, Forever Young MedSpa has won best Cosmetic Surgical & Medical Aesthetics Center. Price range from facials at $99 up to $20,000 surgical procedures and everything in-between.